The Weighwell Single Axle Weighing System is primarily used in the maintenance of passenger cars or locomotives at train maintenance depots. This portable static train weighing system provides accurate individual wheel weights to assist in adjustments during the building or maintenance of a wagon (railcar), passenger car or locomotive. Each individual axle is statically weighed to give the accurate weight of each wheel and provides immediate results of any imbalance across the axle. 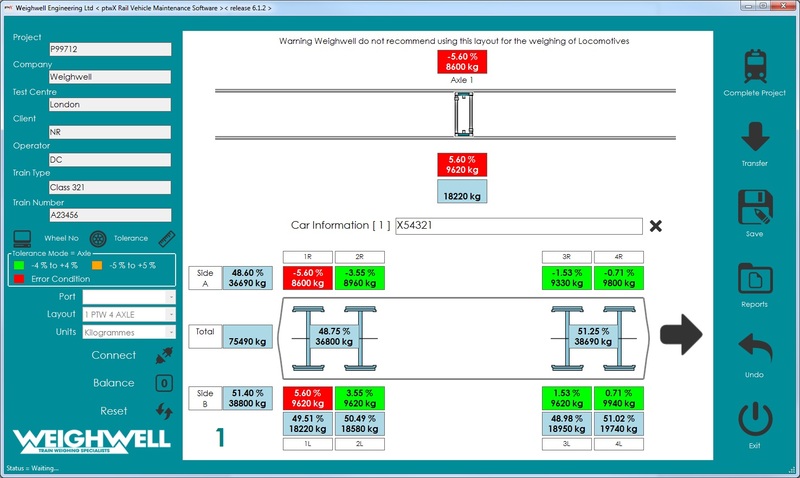 This can provide a continuous weight reference and minimise vehicle downtime. 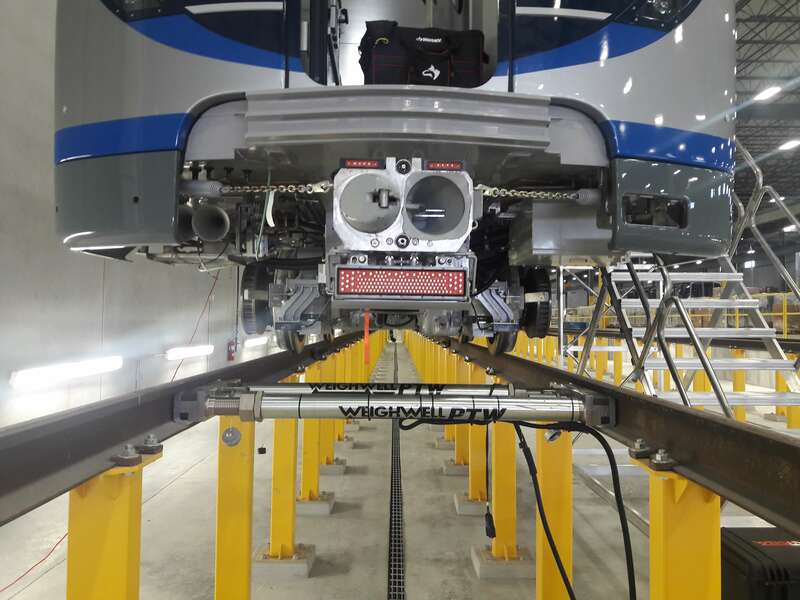 The portable static train weighing system can give live wheel weights, axle weights, side weights, cross weights and total bogie weight which can help identify an imbalance of weight. This is beneficial in highlighting increased wear to the rail vehicle such as spring adjustment, understanding symmetrical loading or measuring the off-centre loading for road-rail vehicles and rail cranes. 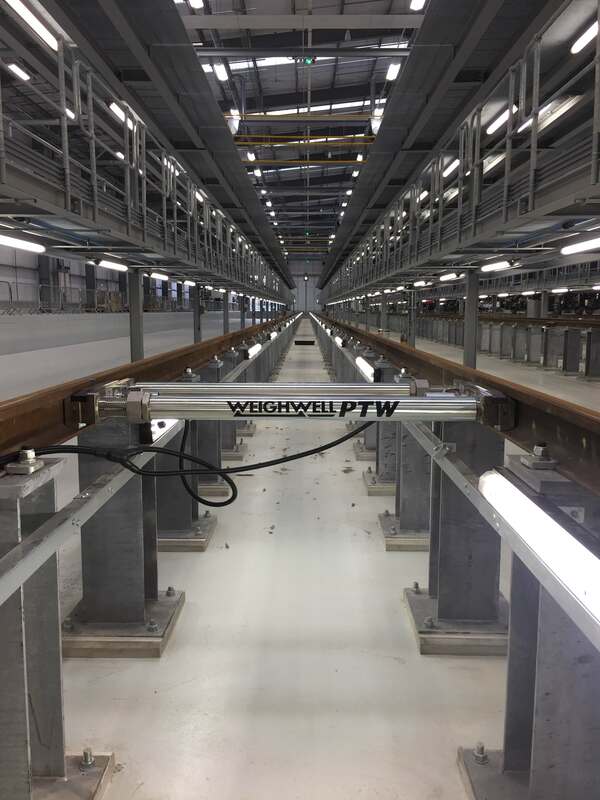 Our Single Axle Weighing Systems can either be interfaced through our ptwX train weighing software or PTW indicator. Eliminates the need to install expensive train weighbridges. 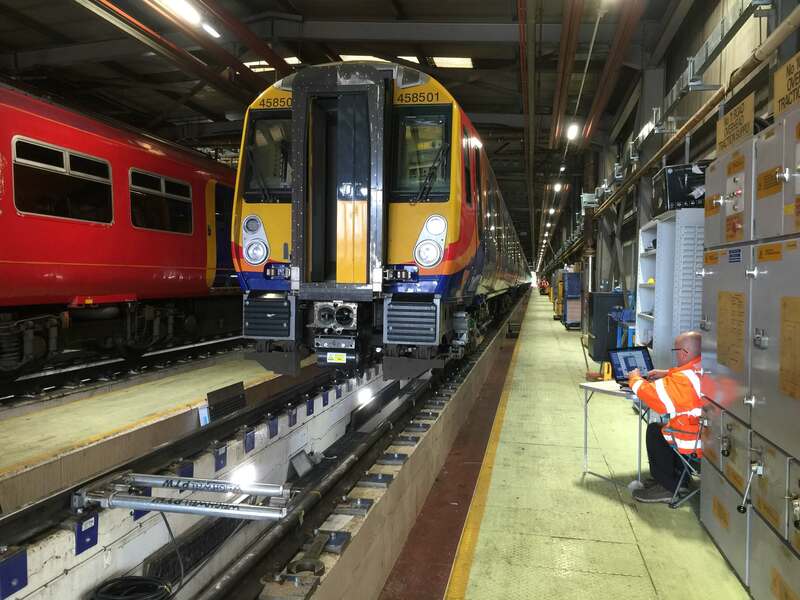 Can be used at rolling stock depots for heavy train maintenance, vehicle modifications and bogie changes. Factory pre-calibration eliminates the need for the transportation of test weights or calibrated wagons (railcars). The PTW can weigh on multiple lines or positions. The loadcells are sealed so that reliable operation is possible, even under poor conditions.